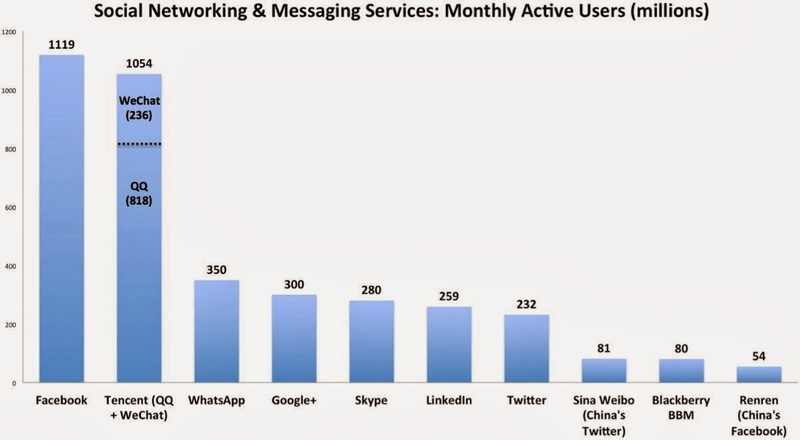 The explosive growth of China’s Tencent and its mobile messaging app WeChat is changing the social media landscape. 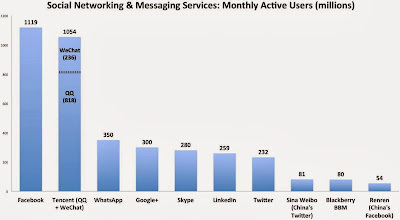 Tencent is now the world's second largest social media company and could overtake Facebook already next year. Source: WorldOfCEOs, JPMorgan, Credit Suisse, Bloomberg. Click on the image for larger picture. Cina's Twitter; Sina Wibo and China's Facebook; Renren are growing fast as well, and are aspiring to be among the world's largest social media companies.